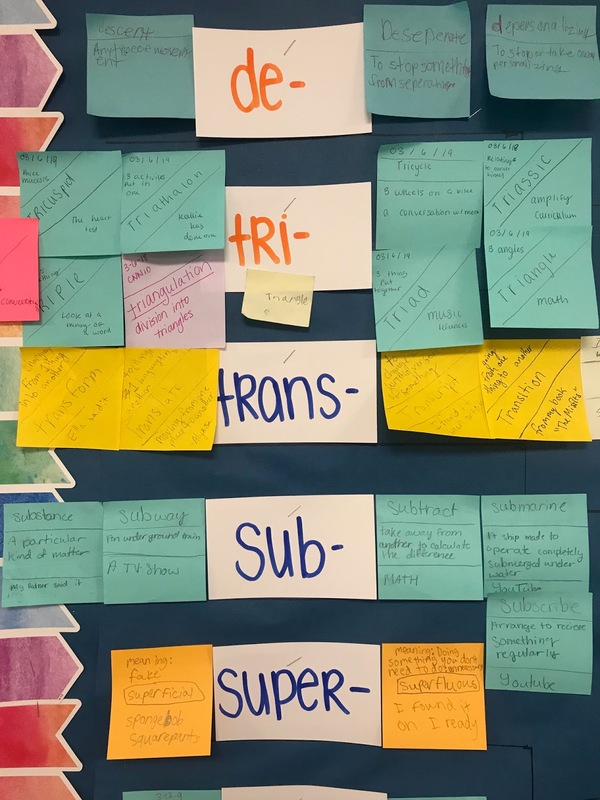 As teachers, we are always looking for engaging ways for students to be aware of the words they read and hear in order to build their vocabulary. 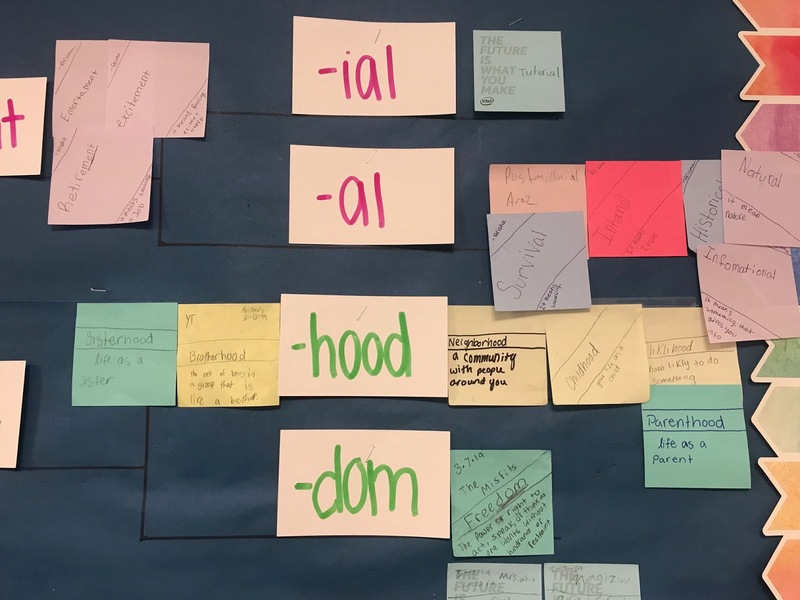 If they come across an unfamiliar word, they need strategies to figure out the meaning. 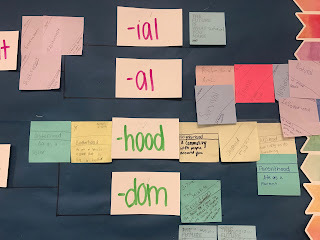 One way that students can figure out the meaning of unknown words is by looking at word parts such as prefixes, suffixes, and roots. 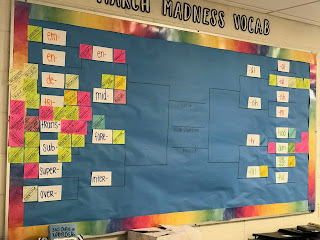 March Madness in 6th grade is focusing on prefixes and suffixes. 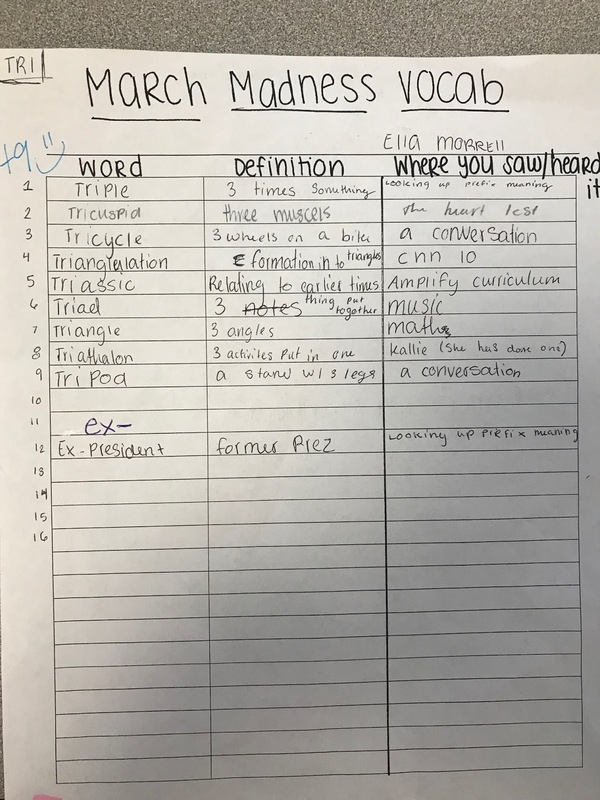 Each week students are assigned a new word part. 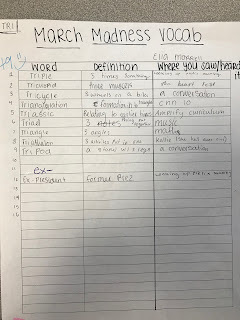 They meet with the teacher so they are clear on the meaning, then throughout the week, their task is to find as many words as they can that contain that prefix or suffix. The word can be in the reading as well as seen or heard around them. Once they come across a word, they must define it and be ready to share it on our board. The next week they receive a new word part to learn and search for. 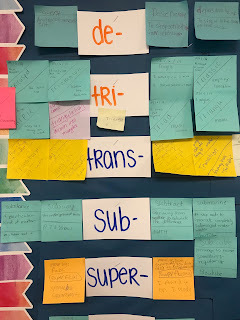 The goal is that students become aware that these word parts are all around them and can be used as clues when tackling unknown words.